You understandably have lofty expectations for the next vehicle that you purchase, and you can feel confident that our team at Pollard Jeep will rise to the occasion to help you find a great vehicle that lives up to those expectations. Many drivers in the Fort Collins CO area use their vehicle throughout the week as a family or commuter car. In their free time, they use their vehicle for outdoor adventures and other fun purposes. To meet all of your various transportation needs, you need a truly utilitarian car that has exceptional power and performance capabilities. You also need the vehicle to be loaded with style and comfort features. While some automakers may struggle to meet your many expectations, you will find that each vehicle on our lot could be a good fit for you. As your preferred Jeep dealership serving Fort Collins and surrounding areas, we have a large inventory of current models in stock for you to take a closer look at during your visit. 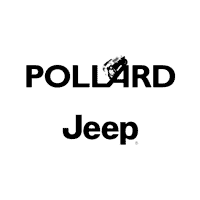 In fact, when you make the short drive from Fort Collins to visit Pollard Jeep, you will see that each current model is represented in our inventory. Multiple trim levels, color options and other variations are available for you to browse through at our dealership, and one of our attentive sales professionals will take you out for a test drive in the vehicles that catch your eye. You can always expect to receive wonderful support and assistance without pressure or hassle when you visit with our sales team for help with your upcoming purchase. As your preferred Jeep dealership serving Fort Collins and surrounding communities, we want to help you get into the right vehicle for your needs and give you a truly great deal on it. We work hard to accomplish this goal in two important ways. First, we always keep our everyday prices as competitive as possible, and this holds true for all of our models. Second, we regularly offer specials and promotional offers on select models to help you save more money on the vehicle that you are interested in. When you make the short drive from Fort Collins to meet with our sales team, you can learn about how great our pricing is on the vehicle that you are eager to take home soon. Even with a fabulous price offered on a vehicle that you are excited about driving through the Fort Collins CO area in soon, one thing may be standing in your way. Many of our customers rely on an auto loan to finance their new vehicle purchase plans. Some will shop around on their own in their free time, but this can waste your valuable time and energy. A better idea is to let the financing department at our dealership serving Fort Collins do the work for you. You can apply for your new car loan in person when you stop by our Jeep dealership for a test drive, or you can take a few minutes to apply online right now from home. Once we receive your loan application and have a good idea about what type of financing you are searching for, we will actively reach out to the many banks and financial institutions that we are affiliated with to find a quality auto loan program that meets your needs. Regardless of what your credit scores are, your down payment amount is and other factors that may be affecting your financial situation, we will work diligently to find a great auto loan program for you. Our many current models of vehicles are known for their overall exceptional engineering and durability in a wide range of driving environments. However, as you cruise around the Fort Collins CO area and beyond, the wear and tear on your vehicle will become increasingly significant. Signs of wear can be reduced or even eliminated in some cases through regular maintenance work from a professional crew. Regular use of your vehicle may also result in the need for repair work or warranty services. For any type of automotive service request, we are available to work hard for you. Many of our customers will make the short drive from Fort Collins to receive quality maintenance work from our certified technicians. This may include tire and brake services, transmission services, oil and filter changes and more. We also have the tools and equipment to complete any type of repair and warranty work needed. For minor and major services alike, we use OEM parts to ensure quality results from our efforts. Keep in mind that our certified technicians have extensive training and experience necessary for excellent workmanship as well. Many of our customers in the Fort Collins area initially visit us personally for assistance with a vehicle purchase, and the relationship grows from there with help from our service department over the years. Whether you need help with your purchase and auto loan application or you already own one of our quality vehicles and need service for it, we can help. You are welcome to stop by Pollard Jeep in person during our business hours at your convenience, or you can make an appointment ahead of time by calling our requesting assistance online. *For informational use. Please contact dealer for current details.